We have hand picked each item in the Rupes BigFoot iBrid Nano Long Neck Starter Kit because they are highly effective when paired together. To create the best kit possible we utilize our years of detailing experience, combined with input from some of the best detailers around the country. We are confident you will get outstanding results with each item and really enjoy how your vehicle looks afterward. Save $33.97 off of the retail price of individually purchasing these items! Rupes iBrid Nano AC-DC Adapter - turn your Rupes Big Foot iBrid Nano into a corded unit! 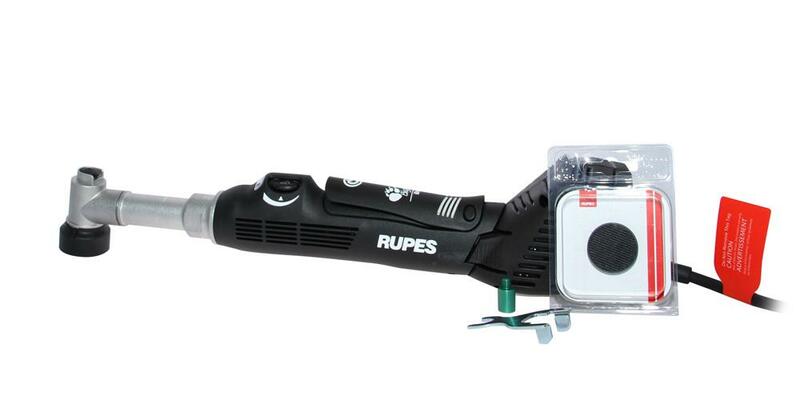 Rupes iBrid Nano Rotary Function Unit - utilize the Rupes Big Foot iBrid Nano as a rotary buffer! Rupes iBrid Nano Wrench - allows you to easily attach and remove backing plates on your iBrid Nano!